A full-colour graphic novel adaptation of the first fantasy novel from the bestselling author of A Game of Thrones, co-written with Lisa Tuttle. 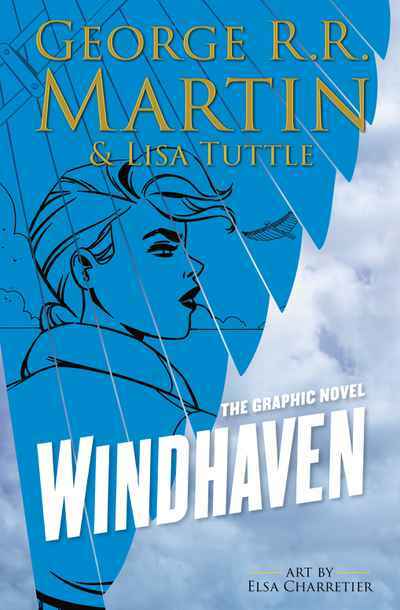 From the united imaginations of two award-winning authors, #1 New York Times bestseller George R. R. Martin (Game of Thrones) and Lisa Tuttle (Lost Futures), Windhaven is now a spectacular full-colour graphic novel—adapted by Lisa Tuttle, illustrated by Marvel Comics artist Elsa Charretier, and a must-have for fans of classic fantasy fiction and artwork. Among the scattered islands that make up the water world of Windhaven, no one holds more prestige than the silver-winged flyers, romantic figures who cross treacherous oceans, braving shifting winds and sudden storms, to bring news, gossip, songs, and stories to a waiting populace. Maris of Amberly, a fisherman’s daughter, wants nothing more than to soar on the currents high above Windhaven, so she challenges tradition, demanding that flyers be chosen by merit rather than inheritance. But even after winning that bitter battle, Maris finds that her troubles are only beginning. Now a revolution threatens to destroy the world she fought so hard to join—and force her to make the ultimate sacrifice.